Discussion in 'xLights (Nutcracker)' started by smeighan, Aug 1, 2012. 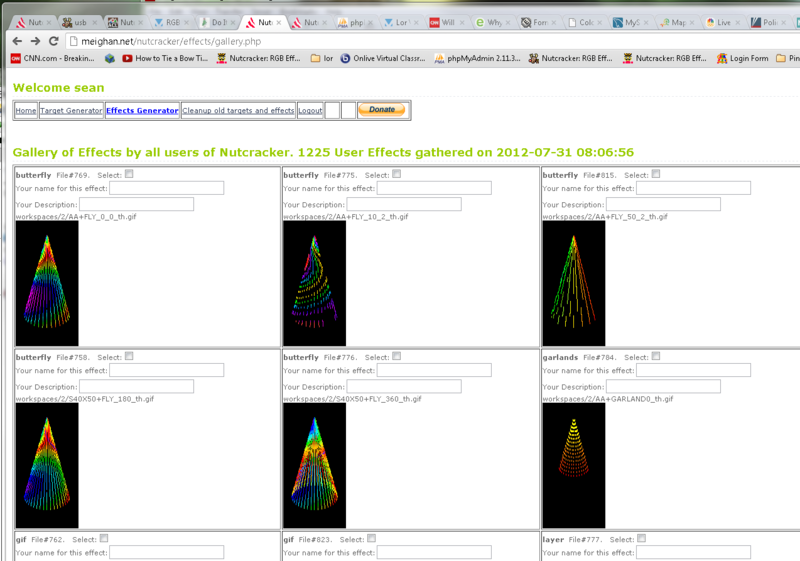 The user gallery was getting slower and slower as more people have been using nutcracker. 4) You can now select , by clicking the Select box, on any of the 1200 gifs. 6) You can now add a description. 7) After browsing and selecting from the form, press submit at the bottom of the form. Now every selected gif will be added into your library. Hopefully this will scale better and be easier to use. Here is a snapshot of the new gallery. Not the date shown in the title, that will indicate when i last walked the directory and gathered gifs.